On your average snack pack or cracker box, you’ll find an ingredient list that’s filled with items with long and strange names. Your first instinct may be to assume these ingredients are harmful chemicals and avoid buying foods containing them, but they’re not all bad. In fact, some of these ingredients are actually healthy. Some of these ingredients are vitamins under another name, and some enhance the nutritional value of a product, making them perfect for healthy living. The next time you’re stocking up your pantry, here are some of the ingredients you should look for on a food product’s ingredients list. Pyridoxine may sound like a chemical you’d find in a laboratory, but it’s really just another name for Vitamin B6. 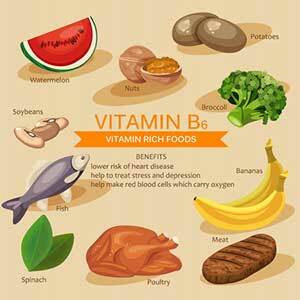 Vitamin B6 has tons of health benefits. It helps your brain make the hormones serotonin and norepinephrine, which both affect mood. Vitamin B6 also helps your body make melatonin, a hormone that helps regulate your internal clock. You’ll find Vitamin B6 in a few different typical pantry items. Sunflowers contain high amounts of pyridoxine. You’ll also find pyridoxine in pistachios. Plus, there’s pyridoxine in many different dried fruits, including prunes, apricots, and raisins. Cyanocobalamin is the scientific name for Vitamin B12. Vitamin B12 is often used as a fortifying agent for products you’ll find in your pantry. There are many common cereals that are fortified with vitamin B12, including bran flakes, corn flakes, raisin bran, Special K, and Cheerios. There are also some types of oatmeal that are fortified with Vitamin B12. Vitamin B12 has health benefits for your nervous system, and it promotes red blood cell health. It’s also necessary for converting carbohydrates into glucose, which gives you more energy and reduces fatigue. 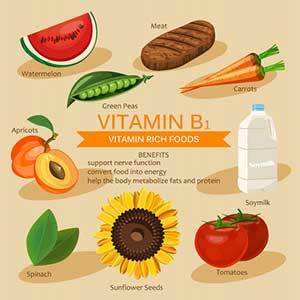 In addition, Vitamin B12 keeps your nails, hair, and skin strong and healthy. It also helps you maintain a healthy digestive system. Sodium carboxymethyl cellulose may have a long name, but its purpose is pretty simple: it acts as a thickener and stabilizer for a wide variety of food products. The FDA has said that this product is safe to use as an additive, and it’s often included in ice creams and other dairy products, including powdered milk. In your pantry, you’ll most often see this product in breakfast cereals and seasonings. You may also see it listed on the back of your soup cans. Stearic acid is a type of fatty acid that naturally occurs in most types of fat. It’s naturally found in white chocolate, milk chocolate, grains, sunflower oil, and cashews. It’s also sometimes used an additive or a binder in some types of candy, chewing gum, and vanilla flavoring. Stearic acid is a saturated fat, but since it’s used in such small amounts as a food additive, you won’t have to worry about it harming your health. Glycerin helps to thicken foods and control foods’ moisture levels. The FDA has said that this additive is safe to use in food products, and it’s found in many common foods you probably have in your pantry. If you have a bag of marshmallows in your pantry, you’ll most likely see glycerin listed as one of the ingredients. Glycerin is also used in grains and baked goods, including bread, rolled oats, cereal, and precooked rice products. It’s also sometimes used in nut butters, vinegar, mustard, sauces, and soups. It’s also commonly found in sweeteners, and it’s used in many different types of candy. If you see the name thiamine mononitrate on a product’s ingredient list, don’t be alarmed. Thiamine mononitrate is simply another name Vitamin B1. Thiamine mononitrate is often used to fortify pasta, cereal, flour, and breads. You’ll also find thiamine mononitrate in macadamia nuts and sunflower seeds. There are many health benefits to thiamine mononitrate. The vitamin helps with your cardiovascular health, and it strengthens your immune system. Plus, it helps your body control your mood, and it can reduce feelings of stress. This vitamin is perfect for anyone who’s focused on healthy living. Glucono delta-lactone is a food additive that the Center for Science in the Public has said is very safe to eat. It preserves foods from deterioration, and it’s used to increase the acidity in certain types of food. It’s often used in baked goods as a leavening agent, and it helps preserve bread so it will last longer. Glucono delta-lactone is also used in vinegar to give it a tangier flavor. You might also see glucono delta-lactone on the ingredients list of a bag of rice or pasta in your pantry. Silicon dioxide is used as an anticaking agent. This natural ingredient is found in the earth’s crust, plants, rocks and sand. Silicon dioxide helps improve the health of your hair, skin, nails, and bones. It can also help make your teeth stronger. Silicon dioxide occurs naturally in some pantry products, including oats, wheat bread, and brown rice. A bit of silicon dioxide is often added to bottles of salt to prevent the salt grains from clumping together. You’ll also find silicon dioxide in some types of nuts and seeds, including almonds, peanuts, pumpkin seeds, and sunflower seeds. Plus, raisins also have silicon dioxide in them. There are many common pantry products that are perfect for anyone interested in healthy living. When you’re shopping for new products for your pantry, don’t worry if the products have ingredients with long, unpronounceable names. Many of these ingredients are harmless, and some even have great health benefits. 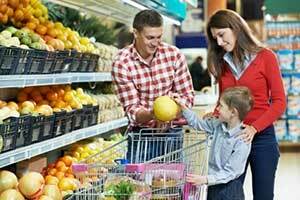 As you shop at your local grocery store, you’ll find many healthy products that contain ingredients with long names. If you’re looking for healthy containers to put your snacks in when you’re on-the-go, check out Kangovou’s line of non-plastic, BPA-free dishware. You can use these products to store your favorite snacks in your pantry after you open them. The containers are also perfect as eco-friendly lunchboxes for kids to take to school. If you have any questions about our eco-friendly products, contact us through our online form.